Canton resident Emily Fusting knew right away that Baltimore County had the wrong person when she got a $40 speed camera ticket in the mail recently. She drives a gray Hyundai hatchback. The car nabbed by the county camera on Kenilworth Drive? A dark-colored sedan. “If anybody took any time here, it would be clear this is not my car,” said Fusting, 24, a judicial clerk. While her license plate appears similar to the tag on the car that triggered the camera Jan. 28, it’s hard to tell because the photo from the county’s camera is blurry. On Wednesday county officials acknowledged their mistake. “This vehicle does not appear to belong to Ms. Fusting,” police spokeswoman Elise Armacost wrote in an email. Armacost said three people, including a county police officer, must review every potential citation prior to issuance. “The officer and the two others who reviewed this one felt that it was clear enough to identify a license plate number and that the vehicle was a Hyundai,” Armacost said. The article noted that Baltimore County acknowledged that other such errors of this sort have occurred, but the county claims they are "relatively infrequent". Armacost said the county will notify Fusting by mail that her citation has been voided. Fusting said she's glad she won’t have to take time off from work to contest the ticket in court, something she says she would have done on principle. “But I also think it’s good to bring awareness to the fact that several people reviewed this and thought it was fine,” she said. A recent audit of Baltimore City's former speed camera program with Xerox Corp (who is also Baltimore County's vendor) revealed error rates of ten percent, or more for individual cameras, with many vehicles cited for apparent inaccurate speed readings. 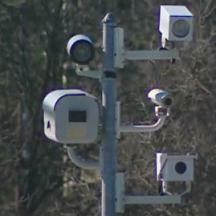 Various groups and a number of state lawmakers have called for independent audits of all speed camera programs to verify their accuracy rate. However Baltimore County stated to the Baltimore Sun that they do not believe an audit is necessary. The Maryland Drivers Alliance has also called for audits, and believes that counties which say they do not need audits are the ones need to be audited first.